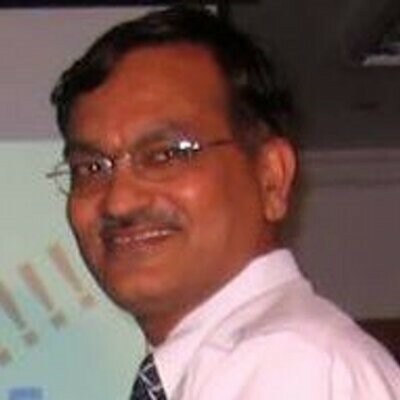 Sudhir is a Chartered Accountant by qualification; has over 25 years experience with the last decade plus of senior leadership expertise in building and transforming organizations in order to achieve business objectives both on a regional and global basis with corporations like Cisco, Barclays, AppShop Inc and L&T Infotech. Currently, Sudhir is a co-Founder of Wolken Software, a Product Company focused on automation of ITIL Processes of an Organization. 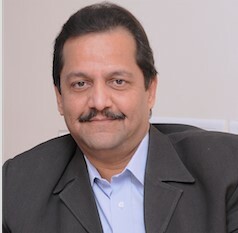 During his career, Sudhir has played various roles like Global IT Director for large Financial Services Company, Managing Director of India Development Centre of US Based IT Services Company, Global Head ERP Practices for large IT Services Company before embarking on starting Wolken Software. Satish has over 23 plus years of experience in the IT services industry, driving revenue growth and margin improvements, launching new services, structuring global delivery and practice functions. 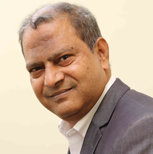 Satish has managed and grown Global Business Units with P&L responsibilities. His passion for results has been valued. He has built and managed multiple service lines. He has Lead organization through the future trends and guided teams to build cutting edge solutions with relevance to market scenarios. Satish's understanding of technology trends and ability to build a strategic vision and structuring of global teams in line with the market for the overall organization goals is well appreciated. Satish's ability to create leaders & manage large teams (Delivery, Sales, Solution and Practice under one roof) with the ability to stay connected with people and enable their strengths to their potential is recognized. Has a excellent understanding of business support functions Financial Planning and Analysis, Recruitment, Quality, Marketing and Alliance. Satish interacts regularly with analysts, media and customers to provide insights in the areas of emerging technology trends. Satish has been part of several forums and launches where new ideas and future of IT in enterprise is discussed. Currently working strategic advisory, working with startups on Technology, Ideation, Process improvements in sales enablement. PVS has 30 years of experience in IT industry and worked with major customers across the globe covering more than 20 countries. He held various senior positions at bwin.party, Catalytic Software, Satyam Computers, Lanco Global and iLabs group companies. During his early days of career, he worked at CMC Limited and ECIL. Last three years focussed on building in-house solutions in Business Intelligence & Analytics, Data warehouses, Enterprise Architecture, Marketing & CRM and Enterprise operational and information systems. Currently engaged in building Mobile products on Cloud for enterprises. In the past established/managed Offshore delivery centers of Excellence and created value to customer deliveries for large MNCs including GE, Teradata, Most of Banks in Wall street as well as small 10-member product development companies. Software services delivered to customers in more than 20 countries with global developments spanned in more than 5 countries. Some of the accomplished objectives include - Managing large development teams distributed across countries, setting up delivery effectiveness measurement processes, Cost optimization in delivery and mentoring senior technical managers to become business leaders. 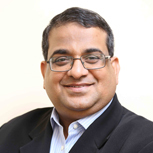 He is a champion of software engineering and was associated with SEI CMM certification in Satyam and Catalytic. He is an M.Tech(CS) from JNTU & M.Sc(Physics) from SVU. His special interests include – working with academic bodies for the betterment of institutions and application of technology for the welfare of weaker sections and rural areas. He is an ardent admirer and follower of SKC's principles of management by human values. He served as a member of studies in Osmania, JNTU and SKD University. 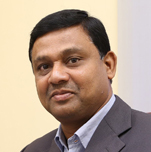 Anil Rachamalla is the Co-founder / Managing Director of Apps Guru Business IT Consulting (P) Ltd. He is a post graduate in project management with over nineteen years of experience. He is an Oracle Certified Supply Chain and Manufacturing Implementation Specialist. Anil was responsible for building sales and pre-sales team, inside sales organization, building account management teams, and building partner alliances with software and hardware vendors in his previous assignments. Anil has held leadership positions to head Quality Process (CMMi), Practice and Delivery Units, Headed Business Development , Setting Technology Direction and provide Strategy Across SBU's and has handled many International Customers. Anil was instrumental in enhancing footprint for existing customers and increased long term customer engagements. He has handled Offshore Delivery Centers for all Regions and Extensively Implemented / Travelled Across USA, UK, Europe , UAE, Bahrain, Saudi Arabia, East Africa, West Africa , South Africa, Malaysia and China. He currently Operates from India. Pradeep Saroop is Co-founder & CEO of Apps Guru Business IT Consulting (P) Ltd and a Executive Director responsible for Policy making and Planning. His 21 year career span includes his association with Bodhtree Consulting limited as Senior Vice President - Enterprise Services covering ERP, Cloud Services & Business Intelligence. In his previous professional assignment with Intelligroup (Currently NTT Data), Pradeep was Vice President responsible for Global Practice & Delivery and served for almost 12 years. He also headed Oracle Practice at L & T Infotech and associated with Sierra Atlantic (Currently Hitachi) in his early careers. Pradeep played multitude of roles that includes Project Management, Pre-sales, Management Consulting, Project Consulting & Services, Software Development, eCommerce Solutions and Business Leadership. Being in the leadership level, he was responsible for software delivery of revenues worth in excess of $50Mn. Have managed 50+ customers, 1000+ geographically distributed employee base across India, US , Africa , Middle East and Europe. He had built and managed huge Offshore Development Centers for a number of Fortune 500 customers that include GE, Integra Life Sciences, BioMarin, Avait Networks, Almac Clinical Services and Invacare to name a few. Extensively travelled across US, Europe, MENA and Asian countries. He currently operates from India. Surya is the Co-founder of Apps Guru Business IT Consulting (P) Ltd. He is a graduate in Engineering from Anna University with over decade of experience in Oracle Supply Chain and Manufacturing modules. He has strong understanding of technology around Oracle ERP and is responsible for building the same based on practice directions. His experience includes participating with the management team to evaluate and drive new strategic business opportunities and has a proven track record of winning new clients on latest technologies. Having grown through delivery, he has sound knowledge of system analysis, designing and development activities on both functional and technical side and would use these skills as part of delivery for large engagements. Participating in Pre-Sales around technology has enabled him to demonstrate his skills around integration of Oracle Products to support customer business needs. He has extensively travelled / implemented across Africa, Asia Pacific and USA. He currently operates from Atlanta, USA. Vijay Poduval comes with over 16 years of Project Management, Software Design and Development and Sales experience in various industries. He specializes in techno-functional solutions associated primarily with Oracle Applications e Business Suite as well as integration with third party systems. 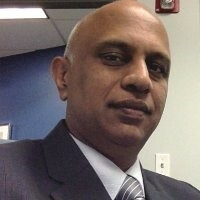 In addition to Project Management, Vijay has worked extensively with client leadership and steering committees in developing "Go-Live" strategies (big bang vs. phased implementations), Data migration, cutover planning, Interface design and scheduling, resource management planning, issue escalation processes, software development and testing capabilities. 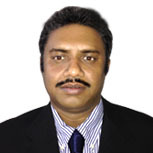 Vijay has also carried out 19 end to end life cycle implementations of Oracle ERP at numerous clients. Poduval's clients include: Frito Lay, The AICPA (American Institute of Certified Public Accountants, Cartus (Formerly Cendant Mobility), Canon Virginia Inc, Caprock Communications, Amkor Technologies, Onsemi Conductor, General Electric, SBC (now AT&T), New York City Housing Authority, AC Nielsen, The Hartford Life, Cendant Mobility, Cendant Group - Hospitality Business, De Lage Landen (DLL). Vijay is Engineering Graduate from Karnataka University and he currently operates from USA. Aditya Varma Manthena is Director of Apps Guru Business IT Consulting (P) Ltd. He is a post graduate in engineering having over decade of experience in implementation of Oracle Applications. Business Leadership for Oracle business responsibility encompassing involving Strategic and Business Planning, Leadership Development, Business Growth, Professional Services , Inside Sales and Recruitment across practices. Enriched experience as ERP analyst, software designing, analyzing, configuring, setups, testing, gap analysis, delivery and deployment in supply chain and manufacturing industries. Provided strategic and operational leadership in building e-business in Manufacturing and Supply Chain areas for many companies. Extensively implemented / travelled across Asia Pacific and United States. He currently operates from India. 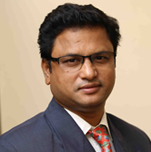 Mr. Prasad Vemuri is the Practice Head – DBA Services. He is an engineering graduate with over two decades of experience in information technology and Oracle DBA Services. 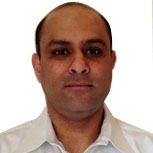 Prasad Vemuri has strong understanding of technology around Oracle DBA and is responsible for Offering Quality Remote DBA Services / Onsite Consulting and On Demand DBA Services, DBA Project Management and Execution Services based on Practice Directions. In his past roles he has worked in Mastech, NTT Data, Maximus, Mahindra Satyam, Hitachi, Oracle and Bodhtree Consulting Ltd. He has extensively travelled / implemented across Asia Pacific, Middle East, Europe and USA. He currently operates from India. Prasad Vemuri lives in Hyderabad with his wife and blessed with two children and elder one is an Engineering Graduate and the younger one is doing her final Intermediate. 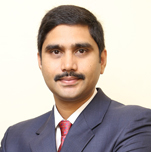 Venkatesh Chekkilla is the Delivery Head of Apps Guru Business IT Consulting (P) Ltd. He is a post graduate with over decade of experience in Oracle Supply Chain, Manufacturing and Technical areas. He has strong understanding of technology around Oracle ERP and is responsible for Oracle Delivery based on practice directions. He has exposure to both functional and technical side and would use these skills as part of delivery for large engagements. Participating in Pre-Sales around technology has enabled him to demonstrate his skills around integration of Oracle Products to support customer business needs. He has extensively travelled / implemented across Asia Pacific and USA. He currently operates from India.